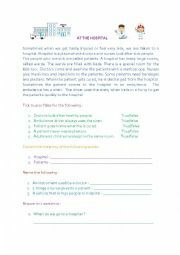 a small comprehension on hospital to introduce basic vocabulary along with true and false , name the following , explain the terms and 1 sentence question answers. kids have to match young ones of animals to their parents and colour the animals too!! 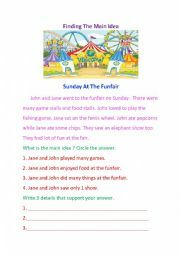 This worksheet is useful to teach what is the main idea in a passage. 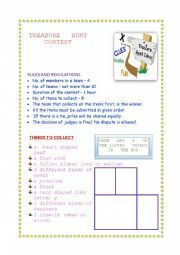 This is a 2 page worksheet on a treasure hunt contest. It helps kids to understand the details given on a poster.